Just like adults, children will experience the same emotions of stress, anxiety, worry, sadness, anger, fear, etc. as they go about learning and growing. However, the main difference is that the young developing mind doesn’t always know how to process, release, or properly categorize these emotions. So we need to help them learn, using the right tools and methods. A lot of these methods are actually pretty easy to teach to our young kids. One of these is Tapping, which I love to use with children because it’s a physical activity that keeps them engaged, while encouraging them to really tune in to their feelings at the same time. Another technique that is really simple and powerful is learning how to breathe mindfully. Now, we all know how to breathe, and our bodies do it naturally without us having to think about it. But “mindful” breathing is a little bit different because it pairs our breathing with our conscious thoughts and imagination. Just through the proper use of our breath, we can change both the emotional and biological states of our bodies. It’s super-easy to learn, but simply just isn’t taught very much in Western culture. But in addition, I wanted to add some other helpful tips to go along with the book itself that will help your child learn the technique of mindful breathing. Here’s a short list to get you started! Children are very accustomed to doing things every day on a routine schedule, starting from their days as an infant. Feeding time, nap time, play time, school time, reading time, quiet time, etc. Similar to above, children associate their environment with specific activities. The crib is for sleeping, the changing table is for changing diapers, the high chair is for eating, the potty is for using the bathroom, the rocking chair is for feeding, and so on. For making a space for your kids to practice breathing, it should be quiet, comfortable, and relaxing. A big fluffy pillow, a furry soft blanket, a colorful corner of their room, or a cozy sitting chair works great. We all know how quickly developing new habits fizzle out when they seem like hard work. 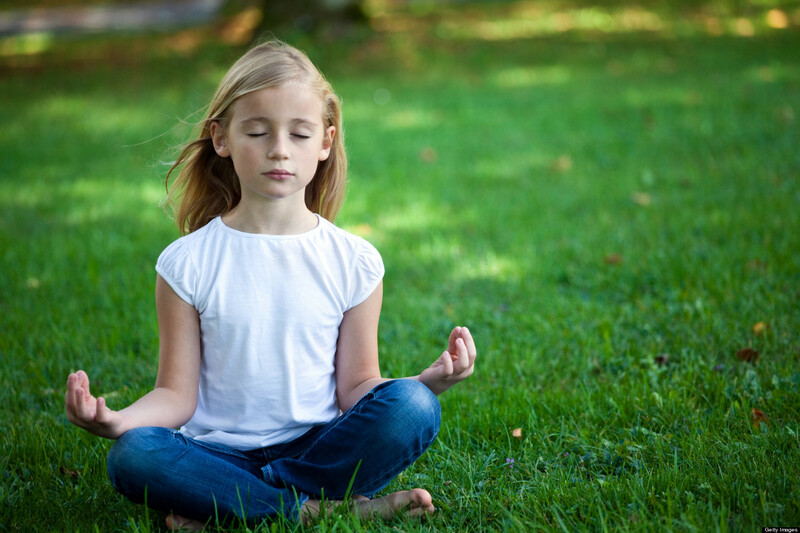 And for children especially, you want to make sure that learning how to breathe mindfully is fun! The goal is to make it relaxing and enjoyable, not just another chore. Children learn by mimicking those around them, so why not set a good example? As a parent, teacher, or anyone who works closely with kids, using mindful breathing techniques yourself to release stress and other built up emotions won’t just provide a good example to follow, it will also do wonders for your own relaxation too . A part of mindful breathing is actually focusing on those negative emotions you want to release, while bringing in those positive emotions you’d like to feel. So for children, a big part of that is asking them the right questions. Questions like these will not only encourage them to identify the parts of their day to practice mindful breathing with, it will also help to develop your child’s emotional intelligence, communication skills, self-esteem, and adaptability. To add to the fun of teaching children how to breathe mindfully, include things like pinwheels, bubbles, wind chimes, or a stuffed animal “breathing buddy” they can practice with. Adding in sensory stimuli (sounds, colors, movement, touch, etc.) helps to associate the practice of mindful breathing with making things change. Just like blowing on a pinwheel or blowing bubbles will make them move or float away, the same thing will happen with their bad emotions on the inside. There will probably be days when it will be difficult to help your child to practice mindful breathing, so sometimes offering a positive reward like their favorite piece of fruit or extra playtime before bed will do the trick! Avoid doing this too often, however, because you don’t want to create the habit of substituting the outer reward for the inner reward of having them feel better. That’s the true prize. Just like we do with Tapping, you can have your kids measure their feelings before and after the breathing exercise. If they are feeling sad, ask them on a scale of 1-10 how sad they feel. Or if they don’t know numbers yet, have them measure with their hands. Holding their arms out wide will be really sad, while bringing their hands close together means less sad. And, of course, make sure to have them measure their happy feelings too! Everyone thrives on encouragement, especially children! Let them know they’re doing great, even if it takes some time to get into the habit of mindful breathing. Every step is a positive one, and every stumble is a learning experience. This mindset alone is the basis for many self-help books and a highly recognized success principle. Books are a wonderful way to teach children how to do lots of things, and I just love writing children’s books.